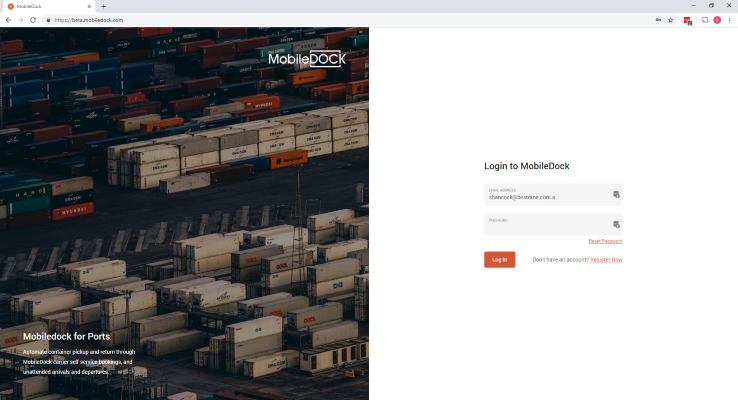 Users of MobileDOCK have been invited to participate in the finalisation of the newest version of MobileDOCK. This new version gives MobileDOCK a new look and feel for end users, and sets the framework for new and exciting functionality later in 2019. When users navigate to existing MobileDOCK, they will be informed about the new version and invited to join in. Users can login with existing user name and password. User can also elect to continue using the existing version until the Beta programme has completed.